So, yes, I am unabashed and unashamed Tolkienite/Ringer? 🙂 (Waves to new friends out there.) And one of my very favorite things to do, is try out literary or historic recipes. I am hoping to make this little series a regular feature on the blog. 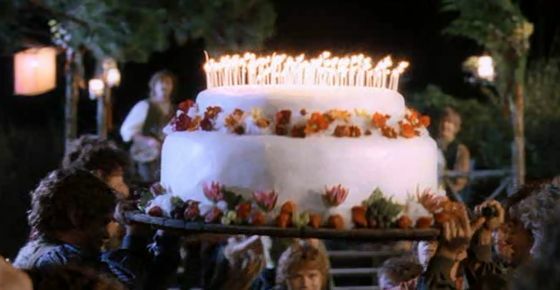 I picked today to share this excellent recipe, because if you have read the books, you know that today is Bilbo and Frodo’s birthday! When I first read the Lord of the Rings and came across this little bit about lembas, I immediately thought of hardtack, the infamous biscuit that pioneers and mountain men would take on the trails and deep into the woods with them on their journeys. I wonder if that is what Tolkien had in mind? Maybe we could put hardtack, ship’s biscuit and cram all in the same category, but lembas seems to be a class unto itself. 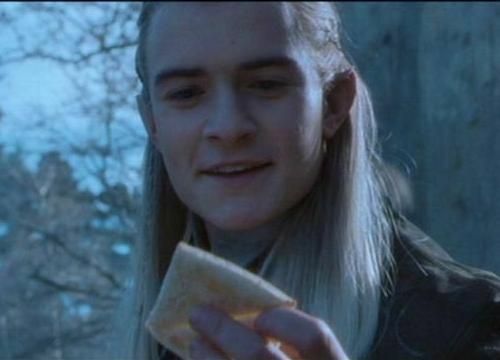 Lembas has also always made me think of shortbread. Though I am sure something like that would be much too crumbly to take on a long journey. When I went to search for a recipe for lembas online, I came across so many it was hard to decide which one to try! Everyone has there own spin on what lembas is and how it should look. I guess we humans will have to guess until we can find an elf to teach us how to make it properly. 🙂 I wanted to try the recipe that they used for the movies, but the actors said it was hard and dry and hardly edible! Movie magic indeed! So I settled on this recipe here with a few personal changes. I added some more cinnamon and mace (like nutmeg) and a splash of orange flower water. It came out as a crumbly dough for me so I ended up adding about 1/4 cup more cream. Enjoy!